“We actually covered a lot of ground for a premiere, and I like what I’ve seen so far”. “Pinocchio starts off well-paced and the first episode lays down a solid foundation for the story and characters to grow. I loved the way this drama looks, with vivid, solid colors and each scene given more emotional impact and meaning with the use of different filters and color palette”. “Pinocchio hasn’t really slipped up in any obvious way, but it hasn’t provided much of an argument yet either. What we’re mostly left with is the first half (which I disliked) and the second half (which I liked)”. “The long-awaited Korean drama of the winter season has arrived! Not only is it Lee Jong Suk’s return to the small screen after playing genius surgeon in Doctor Stranger (although I much preferred “I Can Hear Your Voice“), but it’s also that of Park Shin Hye after the highly popular “The Heirs””. “The story begins with a high school quiz show. The contestants are the smartest kid in the class and presumably the dumbest. DalPo has earned the nickname “All Zero” by getting zeroes in everything school related”. “I think that we will be able to really confirm this dramas potential when we are able to see our OTP (One True Pairing) interact in episode 2. While I am feeling very confident with the script (these writers are my 2nd favorite writing team after all), Park Shin Hye has a tendency to be hit or miss when it comes to chemistry. (…) Be sure to pray for the chemistry and forget the whole kissing aspect. You can’t expect miracles after all”. “The perfect one word description for the first episode of the highly anticipated new SBS Wed-Thurs drama Pinocchio is relief. It’s a relief this drama’s first episode is already better than whatever nuggets of quality was in its predecessor My Lovely Girl”. “The first episode of ‘Pinocchio’ premiered on the night of November 12, much to the delight of Park Shin Hye fans, Lee Jong Suk fans, and fans of both (AKA me, yasss). Even that hideous wig eating Lee Jong Suk’s head couldn’t keep me away from this!”. “I’m just going to state the obvious here. That wig is going to take some getting used to. Thankfully it seems like Dal Po’s sassy and confident personality will be drawing most of my attention. And hey, it’s always nice to have a male lead who isn’t a total a-hole”. “Overall, Pinocchio is off to a promising start. The drama has several flaws, but they don’t interfere with the enjoyment of the plot and the characters on the whole. If you are uncertain about whether you should give it a try, I would recommend you do”. “This show is pretty much perfect so far. It’s exactly the right combination of cute, funny, and poignant”. “The drama was nice but it’s not much memorable. I don’t see anything unique about the drama and I could easily guess what’s going to happen next”. “The acting was phenomenal. The cast really outdid themselves”. ” First off, I always loved both Lee Jong Suk’s and Park Shin Hye’s acting. So that alone was already a selling point to watch the drama. They definitely do not let down!”. ” I would be forever grateful that “Pinocchio” is a good drama in my book and a great drama for Lee Jong Suk to wipe the remains of Dr.Stranger disaster”. ” Once you start (and make sure you go through the first 2 episodes; they are just giving you the general context of what will happen next), you will find yourself pressing the “next” button so as to see the events that will follow. 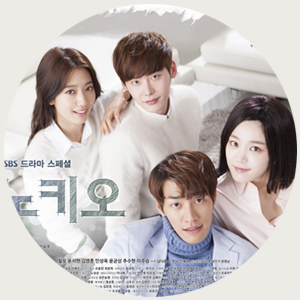 Suspense is also very present in “Pinocchio””. “There’s not much style to go around with her. She’s mostly in sweatpants at home but you really can’t be disgusted with that when she looks so fresh all the time!”. “Love it, love it, looooooooove IT! It’s been a while but I’ve finally found a drama that makes me excited and giddy while watching and waiting for new episodes to air”. “As for now, with the second episode i’m really looking forward to Shin Hye and Jong Suk’s concrete chemistry that is about to make its appearance”. “I enjoyed the first episode and because it is the first episode half of the characters are not even introduced yet. But no worries if the first episode is this strong I’m willing to believe that it will remain the same or you can pray for that”. “The pacing of this show so far is great and even though the first two episodes are set ups but one just can’t help but be drawn right into the story”. “Ooohh… it’s getting better and more interesting”. “Pinocchio is a gem drama about the reporters’ world, power of family and young people’s dreams in chasing the truth”. “Satisfying, lovable, interesting. I will watch anything this writer-director duo create in the future. (I Hear Your Voice and Pinocchio are daebak!!!!!!)”. “Actually I didn’t want to even watch this drama, because it just didn’t attract nor made me curious about the plot as a whole, even though I do like most of the actors, something wasn’t on my liking. However since everyone kept saying good stuff about the drama I gave it a go and by now I should’ve learned my lesson….because this drama is good”. ” Lee Jong Suk and Park Shin Hye’s chemistry is like icing on the cake to this story, which is a good mix of comedy, romance, and melodrama”. “Overall, this is a series that I would keep watching until something better comes along. It’s neither a fun piece, nor is it a cannot-be-missed series. If you are a huge PSH fan, then you will like this, but everyone else who decides to pass probably won’t be missing much”. “Alright. I just finished watching Pinocchio, and it’s actually much better than I expected, which is a good thing. I heard that there was a back-story, and I was really reluctant to watch it because I’m just generally tired to watching dramas with childhood portions. However, the back-story was way better than I expected, and its the best part for me”. “Okay, okay, I caved. Sometimes, I don’t know why, but I really reject watching highly popular dramas when they first come out”. “While not the greatest thing I have ever watched, Pinocchio is adorable, easy to watch, and easier to cheer for. And I want to know what happens next damnit”.